The DS-A1 satellites were developed by Yuzhnoye to test the techniques and equipment for communication and navigation systems and performed radiation measurements. 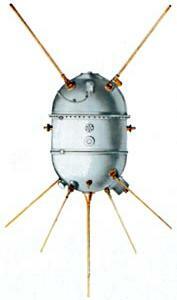 The 250 kg satellites consisted of the battery powered hermetically sealed DS bus, which housed the experiments. Seven satellites, were launched by a Kosmos rockets from Kapustin Yar, four of them reached orbit and were named Kosmos 11, 17, 53 and 70.